My Friend Vera, who used to work at ChinesePod is now involved in the launch of a wonderful Chinese Learning App called HelloChinese. 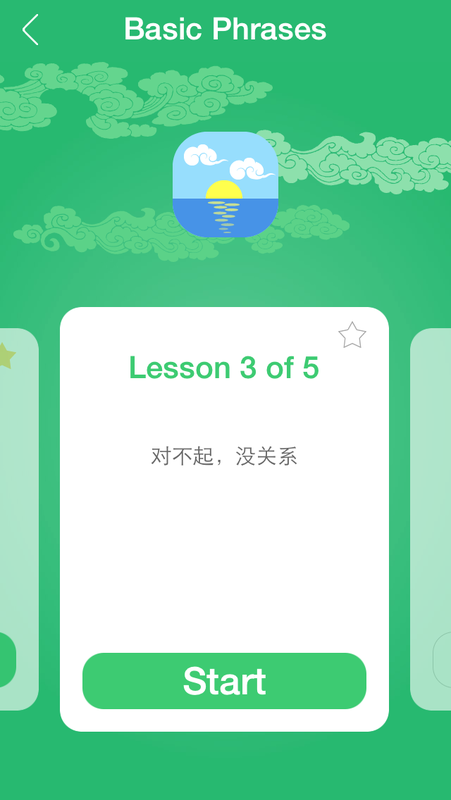 The app is designed by a talented team with a wealth of experience in Academic Chinese learning, and it looks like they have the design side down as well. You can get the app for yourself at http://www.hellochinese.cc or at the following links. 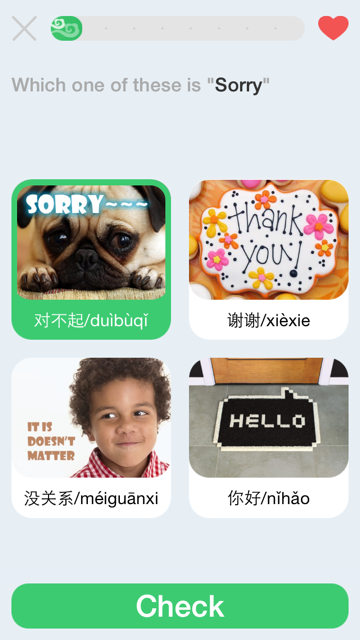 HelloChinese is a great new learning app that simplifies the headache of automation learning that is Rosetta Stone. Like any language learning tool, it’s not going to make you fluent. But it will help you to get started off on the right foot and allow you to hear native speech patterns and get you in the habit of imitating them, which is something that I think is extremely necessary for early learners. There are several things that sets this app apart. 3) Speech and writing recognition. The design is very simple to understand and looks pleasant. They have stuck to the golden Keep it Simple rule and it has paid off marvelously. My only critique would be to make the settings button a bit more prominent and easy to find. Presented with a visual learning map, it is very easy to contextualize a learning goal and motivate yourself to keep going. It may seem silly, but Candy Crush has used the same technique to the tune of over 100,000,000 users. The logic behind this is that if you can visually see where you are going, you will keep going. I am a huge fan of having lessons laid out in a linear format. There is no guesswork of what I need to learn next, I just keep learning and I get taken to the next point on the map. I think that restricting content in a linear format is the best way to learn it in an app. 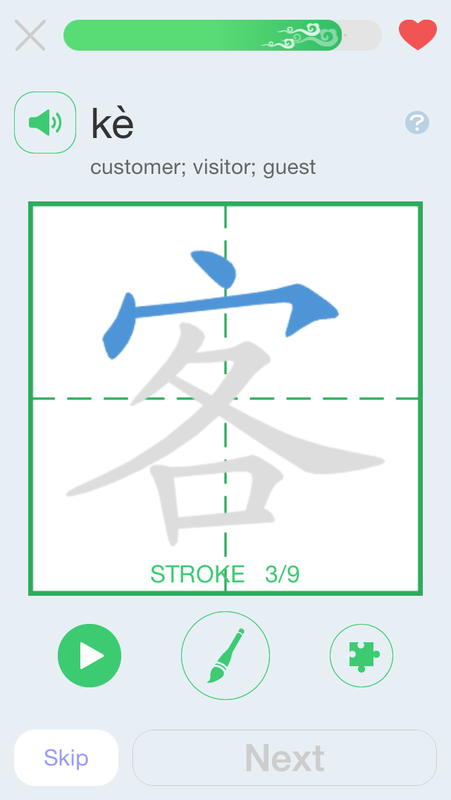 Powered by technology similar to Skritter, one of the great features of the HelloChinese.cc app is the quick and powerful way in which it teaches you to be able to write characters. 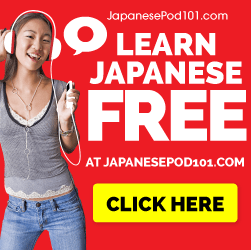 This is important because it will help you to memorize the meaning and pronunciation of the vocabulary. I have Included screenshots of the features above. In addition, there is a reliable speech recognition tool. 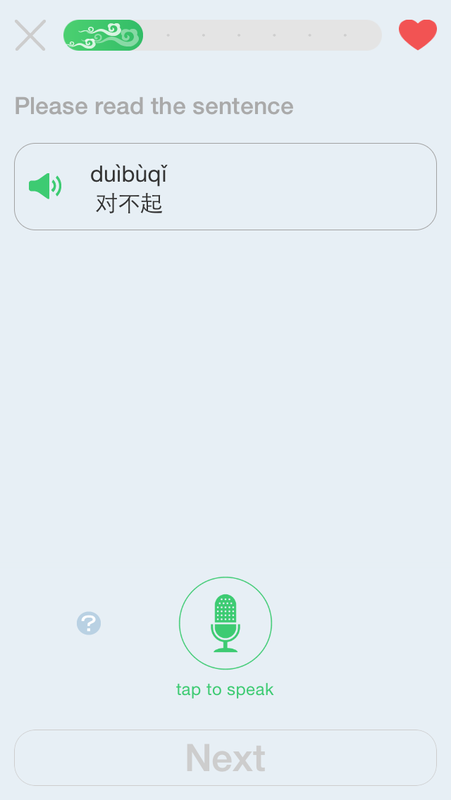 The speech recognition tool here is genius because of the powerful and high quality recording capability built into the iPhone, in the past, speech recognition has suffered due to poor sound cards on windows machines and their variable microphones. The speech recognition this app actually works! 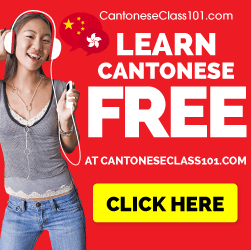 This is a great app with great features and it will give you a good base in Chinese learning. Pros – Great Design, Great Lesson Format, Powerful Speech / Writing Tools. Cons – Some of the menus and features need to be tweaked and expanded on, several small bugs like not being able to turn off the speech training. At this stage though, the app is early and all bugs have been reported and are currently being fixed.